St George's is Scotland's largest all-girls' school, and the only all-through girls' school in Edinburgh. Leading the way in girls' education, St George's promotes educational excellence both inside and outside the classroom. Our ‘YES SHE CAN’ approach, embodied in an abundance of strong female role-models, and the range of opportunity and leadership roles, should inspire every girl to find the path that is right for her at St George’s. We believe this is a time when children should not lose the joy of discovering the world outside - or the potential within themselves. Here your child will be nurtured to become a happy and confident young person. Girls and boys will learn that if they always do their best they can be proud of themselves and their achievements. They will develop all aspects of their personality, preparing them for the next stage of their education with grace and integrity. 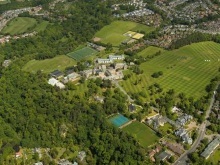 For over 150 years, Stewart's Melville College has been educating the boys of Edinburgh, Scotland and further afield and helping them become world-class young men. Here your son can enjoy all the strengths of a traditional all boys' school. He will learn to master intellectual, physical and ethical challenges. As he develops his natural talents, he will grow in confidence, ambition and emotional intelligence. He will emerge an intelligent, responsible and compassionate citizen, fully equipped for the modern world. As one of the oldest all girls' schools in the UK, The Mary Erskine School, voted Scottish Independent Secondary School of the Year 2012 by The Sunday Times, understands the distinctive needs of girls. Here your daughter will flourish in an environment of academic excellence. She will work at a pace that suits her development. She will experience unrivalled opportunities to challenge and express herself. She will emerge a happy and confident young woman, ready to play a positive role in society. Kilgraston is Scotland’s leading independent boarding and day school for girls located in its own stunning 54 acres of parkland. Full boarding is provided to girls between the ages of 8 and 18. The school achieves outstanding academic results and is currently the top performing independent school for Advanced Highers. In 2016, 70% of girls were accepted into Scottish universities and 100% are now studying at university with 38% studying a STEM subject. Kilgraston is also renowned for its outstanding facilities and pastoral care, including Scotland’s only school equestrian centre. We believe our Junior Years sets us apart from our peers. It is a careful blend of that special Kilgraston care, the happy atmosphere of a family home and an educational environment that encourages young children to develop to the very best of their individual abilities. The Kilgraston Junior Years is for girls aged between 5 and 12 years with boarding available for girls aged 8 and over. The School is located within The Grange, a stunning conversion of Kilgraston’s 18th Century farm courtyard. The classrooms, which are both stimulating and attractive, surround a magnificent glass-covered atrium. This excellent enclosed area is used for assemblies, performances, concerts, indoor tennis and karate. Basil Paterson Middle school and Tutorial is a small, independent school for boys and girls aged 14+. We provide a rigorous academic curriculum with a strong focus on examination success and are committed to the development of our pupils both as learners and as individuals. We offer our learners a personalised programme which has flexibility and choice embedded into it. Founded in 1929, Belmont House School is situated in the Broom Estate, Newton Mearns, just seven miles form the centre of Glasgow. Belmont prides itself in having among the smallest class sizes in Scotland, resulting in a friendly and caring environment where maximum individual attention allows all pupils to reach their full potential. The School's reputation for excellence has been founded upon the fostering of traditional values, such as respect, confidence and social skills, coupled with a strong emphasis on pupil-centred learning and personal development. Lathallan School is a Scottish independent co-educational day and boarding school offering an outstanding Nursery, Primary and Secondary education. Our castle, set in 60 acres of grounds by the sea offers accommodation to pupils who wish to be full, weekly or flexi boarders. Lathallan School inspires its pupils to achieve their full potential concentrating on the school values; opportunity, confidence, respect, endeavour and challenge. Loretto is Scotland’s oldest boarding school, founded in 1827, and one of UK’s leading independent boarding and day schools, welcoming girls and boys aged 0 to 18. Set in a safe, leafy, spacious, 85 acre campus in Musselburgh, the school enjoys all the advantages of its rural setting. A small School, big on heart, big on ambition – every pupil is known personally, and can grow and develop wherever their interests lie. Loretto provides an all-round education and is well-known for its distinctive emphasis on the full development of the individual in mind, body and spirit. The school has exceptional facilities, bespoke to learning and teaching, sport, drama, dance, art and music. Loretto is the home of an industry-leading Golf Academy with indoor and outdoor centres, providing every pupil with an unmatched opportunity to develop their talent. 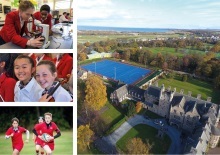 Merchiston is the only independent boarding school for boys in Scotland offering the English curriculum, and has a global, outward-looking dimension. We take pride in specializing in the education of boys and preparing them for the world, as we have for over 175 years, developing aspirational, and sensitive, yet gentle-men! Think about a wonderfully caring and nurturing family environment, where they will learn to like learning more. 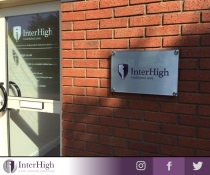 A welcoming school with a huge range of opportunities - academic, sporting and artistic, and an excellent reputation for supporting each and every pupil to excel in their chosen area.